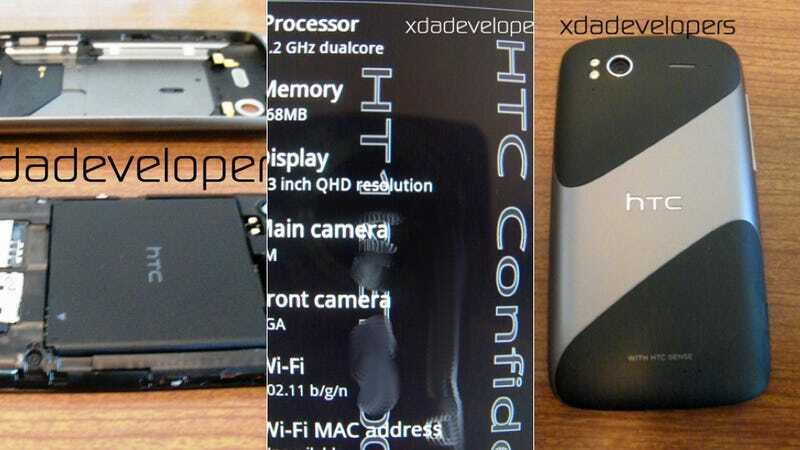 Our first look at the HTC Pyramid showed us a glimpse of the exterior, but now a truckload of images have backed up at the XDA Developers forum. What can we learn? That this is, as we thought, one big ol' smartphone. A 4.3-inch 960×540 qHD display in front of a 1.2GHz processor, 768MB of RAM, an 8MP rear and 1.3MP front camera. And while we may not see Android 2.4, Pyramid should be built on Android 2.3.2 with a Sense 3.0 skin.